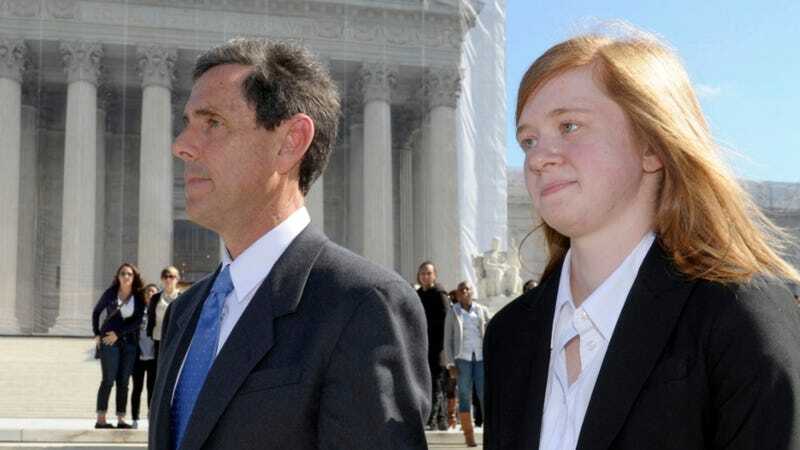 The Supreme Court is currently considering 22-year-old Abigail Fisher's case against the University of Texas — and, really, the concept of affirmative action — for rejecting her college application four years ago. Fisher, who told the New York Times that her dream is "that everyone will be able to get into any school that they want no matter what race they are but solely based on their merit and if they work hard for it," claims her whiteness was held against her. In blaming affirmative action for that denial letter, you have failed to mention that you graduated number 82 in a class of 674 with a 3.59 grade point average on a 4.0 scale, which alienated you from the automatic admissions bunch. You conveniently omit that you scored an 1180 on your SAT, which is way below UT's average, so that automatically diminished your chances of being accepted. "Even if Abigail Fisher had received a perfect Personal Achievement Index score she would not have been admitted … because her Academic Index was simply not high enough. Fisher would not have been admitted, no matter what her race." "The only thing I missed out on was my post-graduation years," she said. "Just being in a network of U.T. graduates would have been a really nice thing to be in. And I probably would have gotten a better job offer had I gone to U.T." She said she was trying to come to terms with her role in a case that could reshape American higher education. Asked if she found it interesting or exciting or scary, she said, "All of the above." But she did not hesitate to say how she would run an admission system. "I don't think," she said, "that we even need to have a race box on the application."